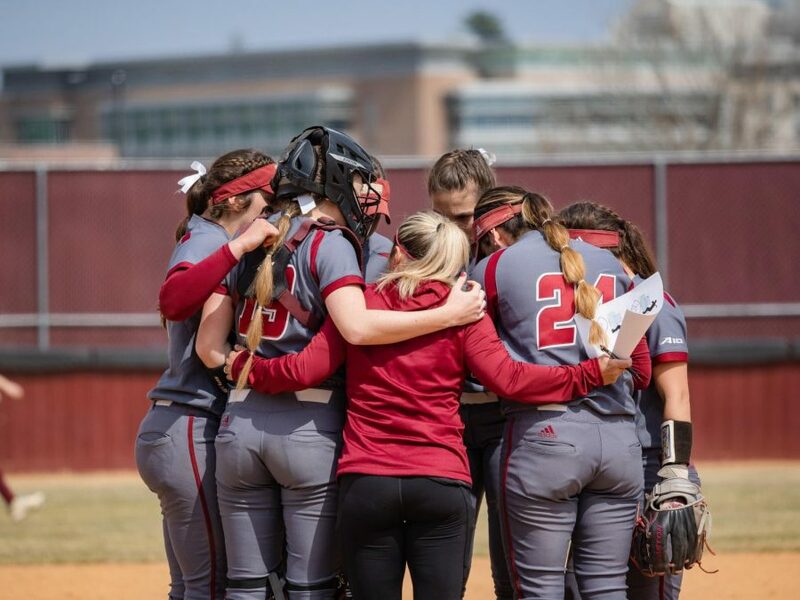 The Massachusetts softball team suffered a 6-4 loss to Central Connecticut State on Wednesday. The Minutewomen (18-15, 6-1 Atlantic 10) appeared to be flat throughout the game, not playing with their normal energy. The Blue Devils (14-15, 1-5 Northeast) took advantage and strung together hits when they mattered most. The game started out positively for the Minutewomen, as they jumped up to a 2-0 lead in the first inning when senior Melissa Garcia singled to bring home Jackie Kelley and Hannah Bunker singled to score Erin Stacevicz. It was in the second inning where things started to go downhill. The Blue Devils tied the game when freshman Rian Eigenmann doubled with the bases loaded to score two runs. The third run would come in two batters later when a wild pitch brought home the runner at third, giving Central Connecticut a 3-2 lead. UMass would tie the game in the third inning after Kaitlyn Stavinoha made an impressive play; she singled and then, noticing there was not a fielder around second base, she took the extra bag. Hannah Bunker was walked and attempted to steal second base, only to be caught up. In the ensuing chaos, Stavinoha would score just before Bunker was tagged out, tying up the score at 3-3. Following a solo home run in the fourth inning by junior Alicia Bertolino that put the Blue Devils up 4-3, the two teams would struggle until the the seventh inning, when Central Connecticut scored on an error and then a sacrifice fly, pushing their lead to 6-3. The Minutewomen would score one run in the bottom of the seventh on an Alyssa Lyon single, but failed to score again, losing the game 6-4. UMass left 11 runners on base, most of them in scoring opportunities. One bright spot for the Minutewomen was how they pitched to Central Connecticut’s star, sophomore Sydney Bolan. Entering the game with a .349 batting average and nine home runs, she was held to zero hits in four at-bats and two strikeouts. Looking forward, the Minutewomen will have some work needed to be done before they return to conference play this weekend against George Washington. The Minutewomen will face George Washington in a three-game home series this weekend. There will be a doubleheader on Saturday starting at 12 p.m. and a game on Sunday, also starting at 12 p.m.